6 8 10 12 14 years. 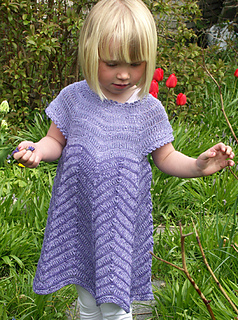 This beautiful little tunic is perfect for children on a hot summerday. Color 1: 50 g for all sizes. Color 2: 50 (50, 50, 50, 100, 100, 100) g.